My client works from home in an office that used to be… let’s say, less than inspiring. 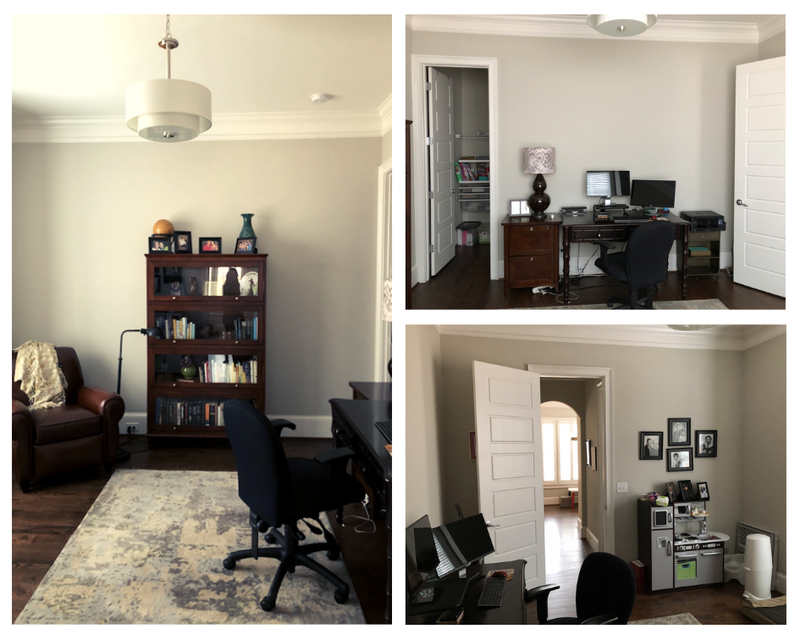 While it was functional with its standard office furniture, the dull gray walls and shoved-against-the-wall layout lacked the kind of style that was more reflective of my client. Basic office furniture lacked a defined style, and the layout meant my client stared at the wall. 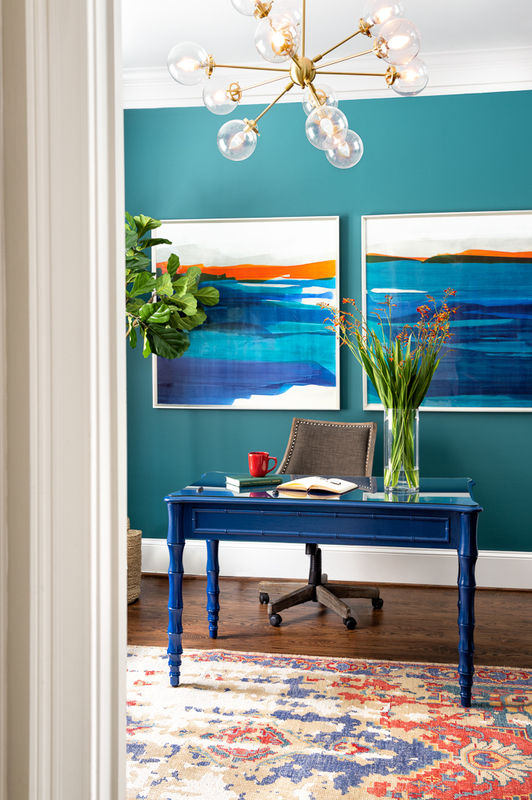 We started by painting the walls a rich blue-green shade, which creates the effect of being inside a jewel box. Adding in stunning artwork and warm gold lighting with the Sputnik-style chandelier delivered a visual POW to the room. But the real showstopper is her old desk, which we painted bright blue. Not only does it look brand-new, but it is now the gorgeous focal point of the room in its new spot centered against the back wall. Photo Credit: Cati Teague Photography for Gina Sims Designs. We also tucked a small apartment sofa into a cozy nook under the window where my client can take “family meetings”. Floor-to-ceiling geometric curtains frame the view outside, and sleek swing-arm wall-mounted task lights offer a warm glow to the lucky visitors who sit there. Now everyone wants to hang out in the office thanks to the cozy pillows and colorful rug we added for warmth and texture.